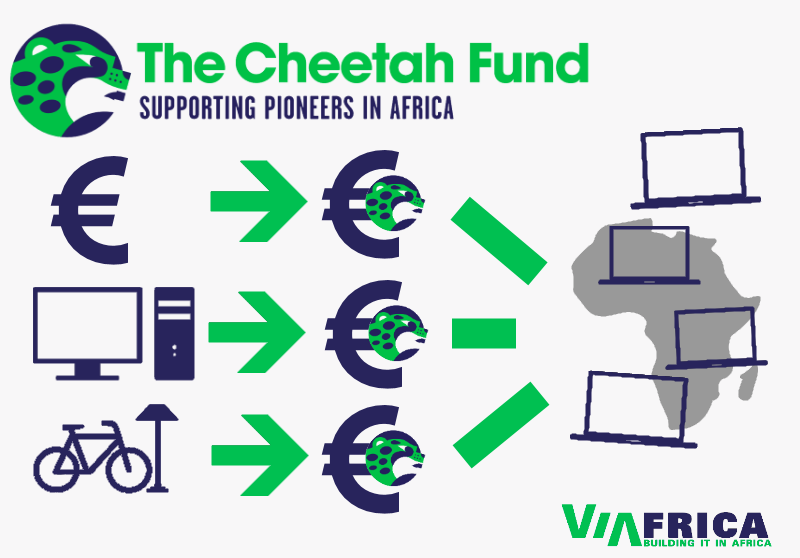 The €400,000 Cheetah Fund will support African pioneers with the seed money needed to kick-start or boost their world-changing projects. If pioneers manage to crowdfund at least 30% of their target amount via 1%Club within 30 days, the Cheetah Fund will grant them the remaining amount. The Cheetah Fund is powered by the Dutch National Postcode Lottery. There are many African pioneers who have great ideas to change the world; an idea that creates social or environmental impact; an idea that leads to a cleaner, safer, or friendlier world. These changemakers have a fresh perspective and are eager to contribute to a better world. We call them ‘CHEETAHS.’They have the drive and like to go off the beaten path. What they often don’t have is the financial means to achieve this. At the Cheetah Fund, it is our dream to empower 100 African changemakers and to ignite a big wave of social change throughout Africa.